There is this charm to old-world stories and to people who lived then. `This is even more true when it comes to writers and what they write and sometimes what they do not or what they were supposed to, but did not. E.M. Forster is one such writer. He wrote what he did and at the same time, he could only talk about his orientation in hushed tones, in the form of Maurice. He wanted to write his last novel – called Arctic Summer, but could not. Damon Galgut takes a slice of life (and a very important slice) of Forster’s life – the creation of A Passage to India and builds his tale around it. Of course, most of it is rooted in fact, but it is Galgut’s voice that is unique and fresh when narrating this tale, most unusual and of how inspiration or muses can make or break you. E.M. Forster became friends with Syed Ross Masood, on one of his trips. Masood was in England to study law from India and returned to India in 1912. Forster followed him to India and what followed then was this love that he had for Masood – this overpowering, passionate and mad love, which he could do nothing about. Morgan (as he was fondly known) then went back to India in 1924 and the twelve year gap is the time when A Passage to India was thought and written. Galgut’s voice is strong and taut. The homosexuality love and aspect of it is not in hush tones and at the same time it does not jump at you from the pages. Galgut has evoked the life of E.M. Forster with brilliance and knack. 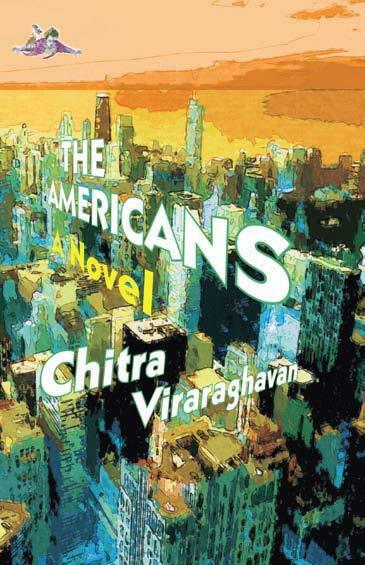 The writing is subtle, emotional (well not too much) and also overwhelming to a large extent. 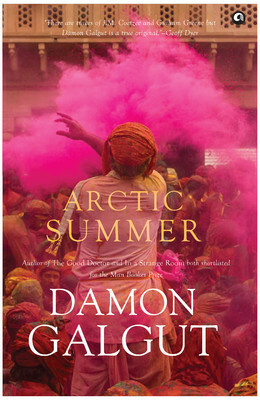 “Arctic Summer” is one of those unconventional books that deserve a reread as well and my bet is when the monsoons come along. This entry was posted in Aleph Book Company, Books, Homosexuality, Review and tagged A Passage to India, Aleph Book Company, Arctic Summer, Damon Galgut, E.M. Forster, homosexuality, Love, Muse, Syed Ross Masood on May 27, 2014 by thehungryreader. I was way too kicked to read this book. May be this is what happens to me all the time. I get kicked about a book and then somehow it does not live up the way I thought it would, to my expectations. “The Wives of Los Alamos” though surprised me after the first hundred pages or so. I think sometimes, the beauty of reading a book is perhaps not to give up on it. There is this voice that keeps telling you to go with the book and you do, and sometimes you end up thanking that voice. As the title suggests, this book has got to do with Los Alamos, the military town that laid the ground for the invention of the atomic bomb by the United States of America. The wives of the scientists and physicists also arrive with their husbands to the town of Los Alamos, New Mexico. They start lives afresh, not knowing what is in store, with WWII looming large. They wonder, they speculate, and they cannot figure anything. Their children are brought up just like that – randomly almost, their households just take care of themselves and nothing seems right, as they are away from home. 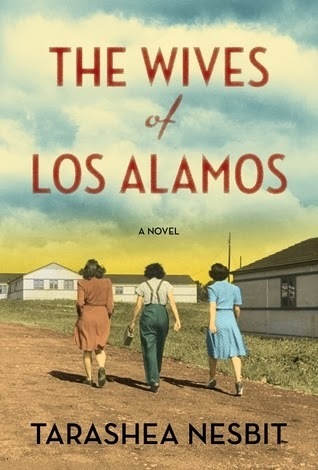 “The Wives of Los Alamos” starts off slow and ends up picking up pace, right at the end of the book. I somehow got bored mid-way but it was the last part that really got me hooked to the book. Nesbit’s writing is of collective people – the nouns are collective, the wives are together – thinking, feeling and experiencing the same events and agonies and joys. The husbands, the director and the General are also very strong characters in the book. The Manhattan Project as it was then called is explained quite succinctly in the book. From Oppenheimer the director to the views of the wives and the household help, Nesbit covers every tract of information beautifully. I would most certainly recommend this book to you, if you like history and the events it unfolds. This entry was posted in Bloomsbury Publishing, Books, Literary Fiction, Review and tagged atomic bomb, bloomsbury, japanese, literary fiction, New Mexico, TaraShea Nesbit, The Wives of Los Alamos, WWII on May 14, 2014 by thehungryreader. 11 Stories read in 11 Days. This challenge is kind of proving to be difficult by the day given the number of authors and stories, which I have to source. This entry was posted in 387 Short Stories, short stories and tagged 387 short stories, Barry Hannah, Ellis Parker Butler, Frank Stockton, James Thurber, Lynne Tillman on May 11, 2014 by thehungryreader. I was eagerly waiting to read this book. And to some extent this book disappointed me. I thought there would be more about books and reading and the experiences of Mr. Bond with his books, but it somehow was not that. “Love among the Bookshelves” is a well-thought of book and it does talk about Mr. Bond’s adventures in reading, but somehow for me, it fell short in most places. I love books about books and reading. This one just did not do it for me. The book started off well with Ruskin’s experiences when it came to reading and how it all began, but from there on it was a downhill reading experience for me. Maybe it was the excerpts of every of his favourite writer, or maybe it was the fact that not enough time was spent on reading experiences, per se, but the book did not click with me. On the other hand, Bond’s style of writing is still the same – simple and sweet and direct to a very large extent, which is what even made me turn the pages. I did not give up. Ruskin Bond’s writing can never make you leave the book mid-way, but like I said, this time, one of his books did not do it for me. I did enjoy the part when he was in London and the books he discovered there. The recommended reading list at the end of the book is alright. It has some good books in it. 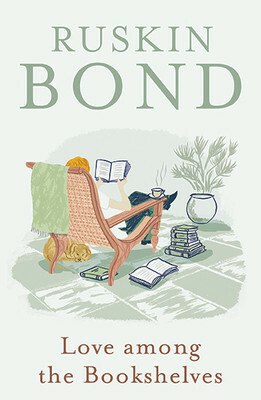 All said and done, I would recommend, “Love among the Bookshelves” to ardent Bond fans who must read every book of his. This entry was posted in Books, Memoir, Non-Fiction, Penguin Viking, Review and tagged Books, Love among the Bookshelves, penguin india, reading, ruskin bond, viking on May 5, 2014 by thehungryreader.